Jamie Crosby is the Chef de Cuisine at The Prune in Stratford. He grew up in Huron County, working in kitchens from a young age. Jamie did his apprenticeship at The Little Inn of Bayfield and attended George Brown College. 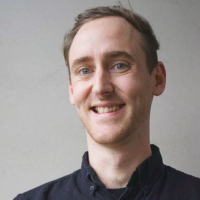 In 2013 he worked for Michael Stadtlander at Eigensinn Farm & Haisai, and completed a stage at Noma in Copenhagen in 2014. Jamie returned to The Little Inn of Bayfield as Sous Chef, and was promoted to Chef in 2015. Jamie most recently worked at Grey Gardens in Toronto before moving to Stratford.